It was Clay Christensen, a professor at Harvard Business school, that coined the term disruptive innovation. Since then, it has become one of the most commonly used ideas in the tech startup community, to the point that it has entered the mainstream. One great example of this would be between Amazon and Borders. Amazon, which started as an online bookstore in 1994, is today one of the world’s most valuable companies, selling all sorts of goods (not just books) to consumers. In 2015 it surpassed Walmart as the most valuable retailer in the United States based on market capitalization, and today its revenues surpass a hundred billion dollars. On the other hand, Borders, which was established in 1971, had at its peak almost 20,000 employees and more than 1,300 stores around the world, but in 2011 filed for bankruptcy. You might wonder: How did Amazon beat a rival with a 20-year headstart? Many would refer back to Christensen’s thesis and say that Borders was disrupted - that Amazon had learned how to develop and offer a better solution - e-commerce, a better business model; online payments and customer fulfillment; and even access to more customers and new markets. Yet, as enticing as disruption is as an idea and management theory, it’s just one of many theories and frameworks out there. In an article published in The New Yorker, entitled, “The Disruption Machine”, author Jill Yore offers a great rebuttal (and overview of such arguments) against Christensen’s thesis of disruption. She makes three main points. The first point implicitly stated is that there are other theories and frameworks such as Michael Porter’s Competitive Advantage. 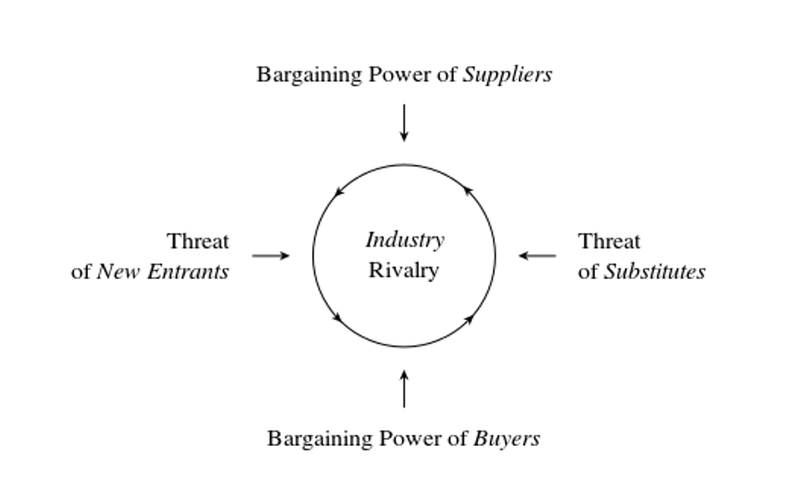 To add, I would also put forward his other theory of The 5 Forces. Competitive advantage, put simply, is where a company succeeds and beats its competitors either by being the cheapest and having the lowest costs, or by being the most different/differentiated. 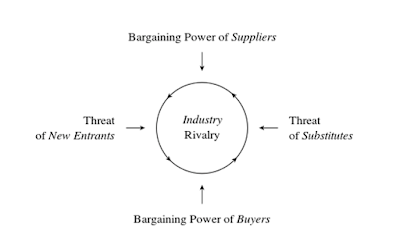 The 5 Forces, meanwhile, attests to the role of external factors - like suppliers, new entrants, substitutes, buyers, and industry rivals - and the degree of influence or ability of a company to manage these factors in order to survive. Arguably, both theories also fit the Amazon and Borders example. Amazon was an innovative business model - but at the end of the day, it might have boiled down to the competitive advantage of being cheaper and differentiated compared to borders. And who is to say Borders just couldn’t manage against external forces better than Amazon? After all, theories wouldn’t be theories if they weren’t widely applicable. The second point Yore makes is that within the many examples or cases that Christensen identifies to prove his theory, there are many inconsistencies as well. The last point Yore makes in her article is simple yet poignant. While many wish to use as a means to predict the next big thing, Christensen’s framework stands better as an explanation of the ultimate success or failure of companies. At best, it is a pattern seen in retrospect and not a predictor of the future. That the challenges faced by companies is to adapt and keep pace with these changes while solving their customer's problems most effectively and efficiently. With everything said, the aforementioned theories and cases lead to one fundamental point: He/she who makes the most customers happiest, fastest and in the most efficient way possible wins the day. And, ultimately, all businesses or business owners should already know this. This post is part of a blog series promoting Open Collaboration with East Asia New Champions (OCEAN) Summit 2016 in Bohol on November 24-26, 2016, with the theme: The Future of Industry and Impact. There will be a session on The Disruption of Industries: The next decade in digital transformation.. To know more and participate, go to http://www.ocean16.asia/.